A big thank you to everyone who contributed to our coat drive. 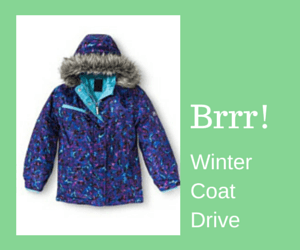 With your help, we were able to give each child at the shelter a new coat. Interfaith Association of Northwest Washington is addressing the needs of families experiencing homelessness through the united commitment of different faith groups and community members. Since 2010, Interfaith's Family Shelter has provided support to nearly 400 families on a path to stable housing and independence. © Copyright 2014-2019 by Interfaith Family Shelter. All rights reserved.